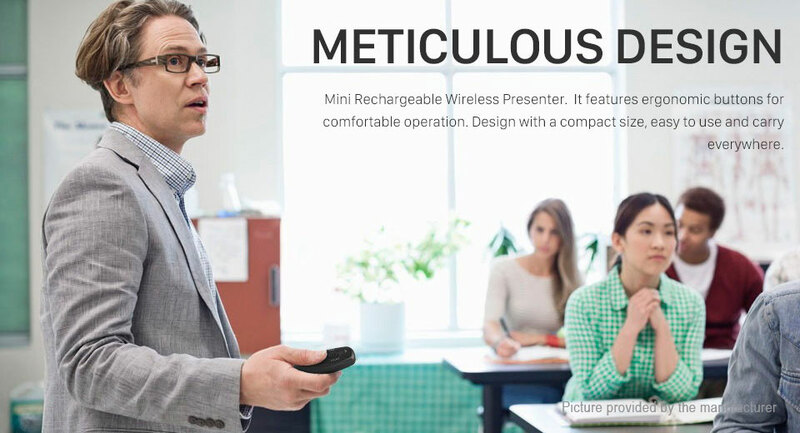 Mini Rechargeable Wireless Presenter. 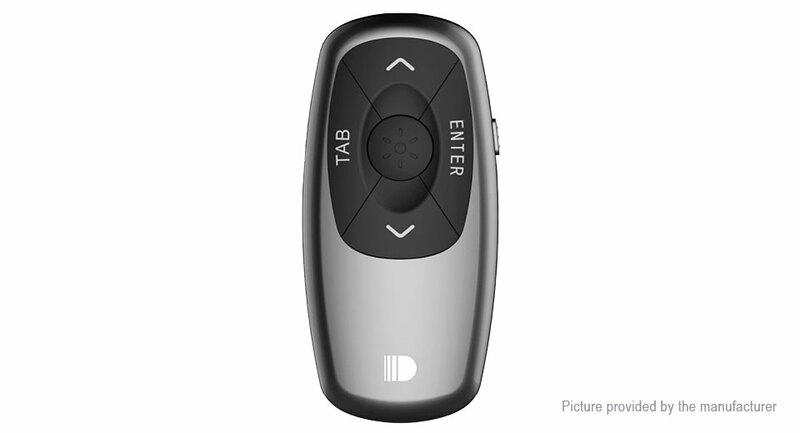 It features ergonomic buttons for comfortable operation. 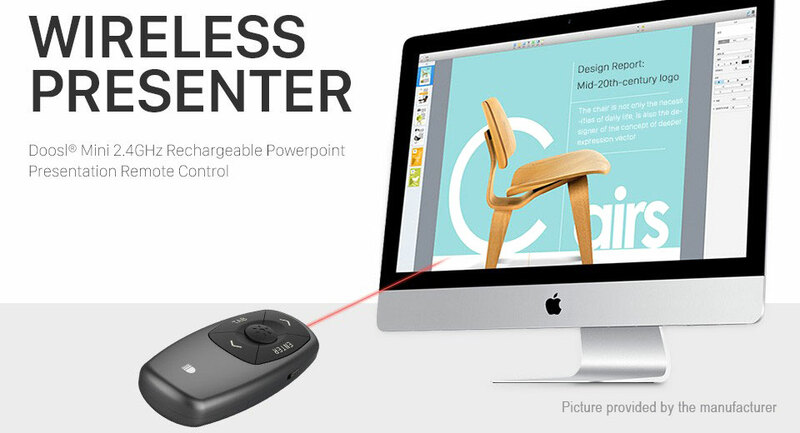 Design with a compact size, easy to use and carry everywhere. 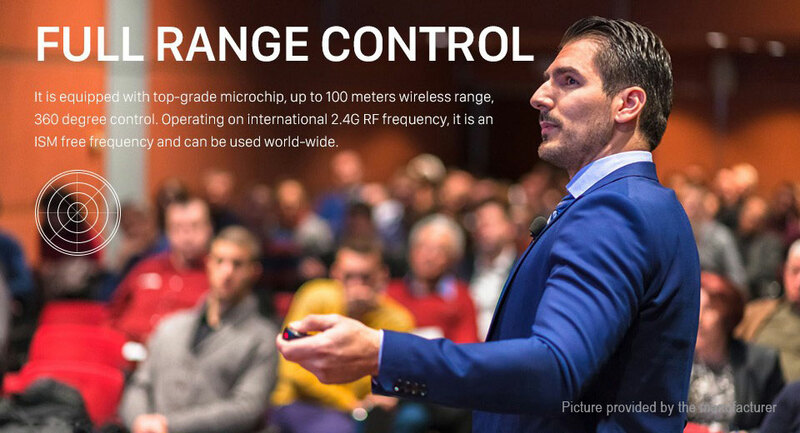 It is equipped with top-grade microchip, up to 100 meters wireless range, 360 degree control. 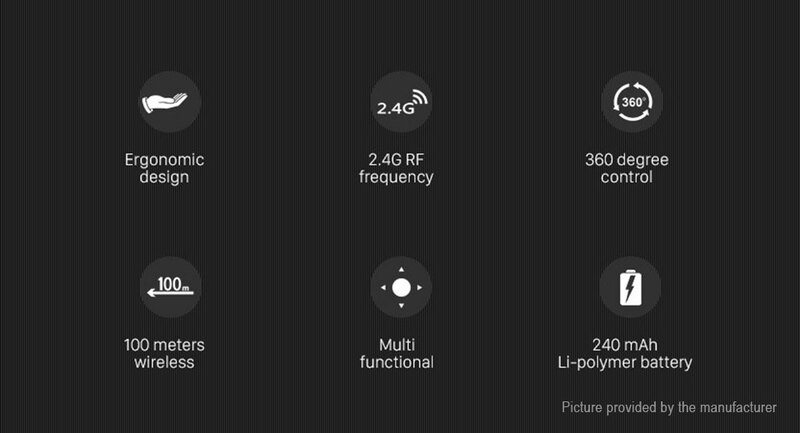 Operating on international 2.4G RF frequency, it is an ISM free frequency and can be used world-wide. Supports Page Up/Down, Full Screen, Screen Sleep, and Hyperlink. 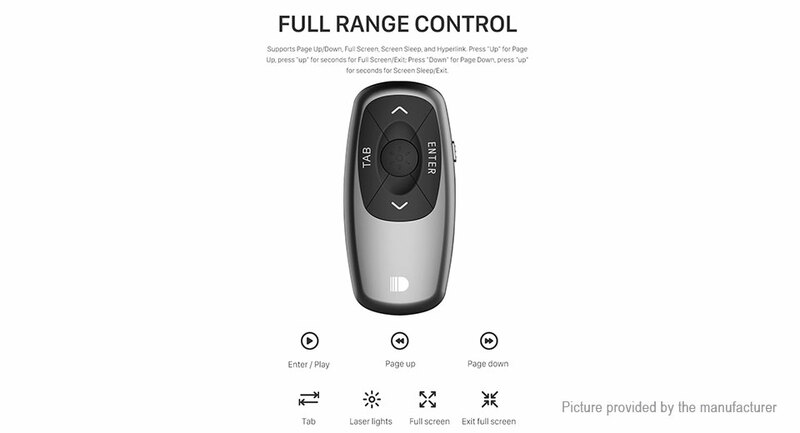 Press "Up" for Page Up, press "up" for seconds for Full Screen/Exit; Press "Down" for Page Down, press "up" for seconds for Screen Sleep/Exit. 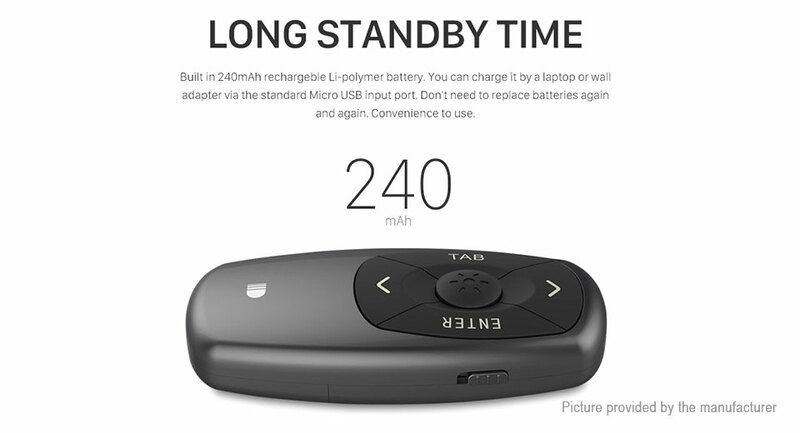 Built in 240mAh rechargeble Li-polymer battery. You can charge it by a laptop or wall adapter via the standard Micro USB input port. 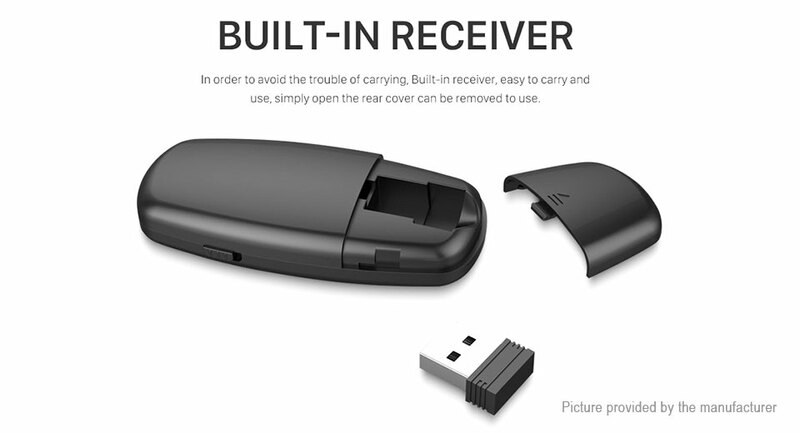 Don't need to replace batteries again and again.Convenience to use. Power Saving: Comes with auto standby and deep sleep functions for energy-saving, and equipped with a separate switch and effectively avoids unwanted power consumption when you put it in your bag.